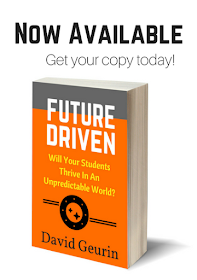 The current generation of students is dealing with more stress and anxiety than ever before. I'm sure there are many reasons for this, but regardless of the causes we must work to help address the reality. We hear the stories every day of kids fighting depression, feeling overwhelmed, struggling with problems with friends, parents, or both. There seem to be more kids than ever who are no longer living with parents at all. And here's the thing, if you are depressed or filled with anxiety, how are you going to focus your energy on learning? You probably won't unless you shift your thinking. Or unless something in your environment helps you shift your thinking. One of our teachers commented, "I want my class to be an oasis for students. 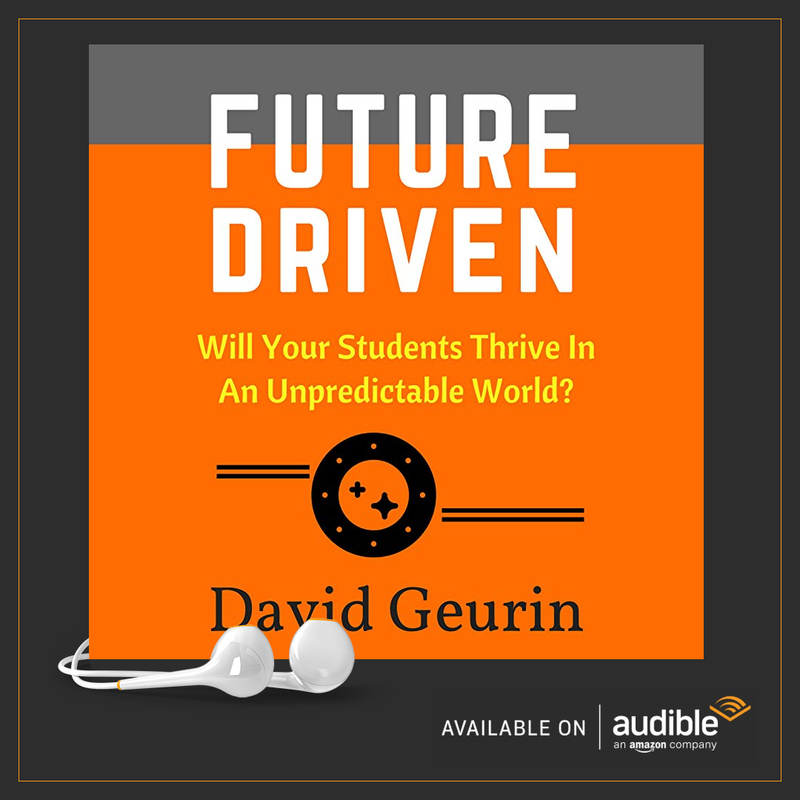 For the time they are in my class, I want it to be so good they forget the problems on the outside." So how do you do that? How can you help kids shift energy from a focus on problems to a focus on learning? "Class, yesterday we worked on such and such and today we will do such and such. So let's get started." It's an abrupt attempt to start learning. That won't work because a bunch of kids in class are still thinking about how bad they feel, what was said to them that's hurtful, or how they are going to deal with that personal problem. They are distracted. They aren't emotionally in a good place to learn. I believe every learner would benefit from more 'right-brain' directed starters in class. Lead with something that helps them access positive emotions, creativity, empathy, and connection. It might take a few minutes to plan and execute these strategies, but it will be well worth it. In the end, there will be more learning by helping students get the right focus. Start class by shifting the energy. Get kids in the right mindset first. So here are 9 possibilities to make this happen. Find ways to open your class with one or more of these. And, look for ways to have these things show up throughout your class, too. It will help to inspire learning. 1. Humor - Tell a joke, make fun of yourself, or do something zany and off the wall. 2. Music - Play upbeat music as students are coming into class. It's amazing how the right music can put us in a different mood. 3. Relaxed Breathing - Slow, deep breathing and quiet relaxation can help students to calm body and mind. 4. 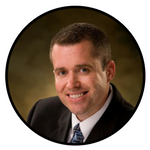 Imagination - Have kids write or share with each other on topics that require imagination. What if you could time travel? What time would you visit? Why? 5. Drama - Create some fun drama in the class. Have a debate about something ridiculous. Launch an investigation. Make it absurd. Be over the top. 6. Play - Toss a ball around the class. Have a quick game. Nothing too competitive. Just bring some whimsy and playfulness to class. 7. Movement - Stand up and stretch. Give a high five to someone. Or go for a quick walk outside of class. 8. Sharing Gratitude - Ask students to share something they're thankful for. Help them be grateful for the little things. 9. Stories - Share stories real and imagined. Find out what's going on in their lives. I always had some winning stories that I told just about every year. Kids were on the edge of their seats. These techniques are not intended to treat anxiety or depression, but they can temporarily relieve the symptoms. Of course, students who have depressive disorders need professional help. But for the time they are in your classroom, maybe you can help them focus on learning by using these strategies. What do you think? 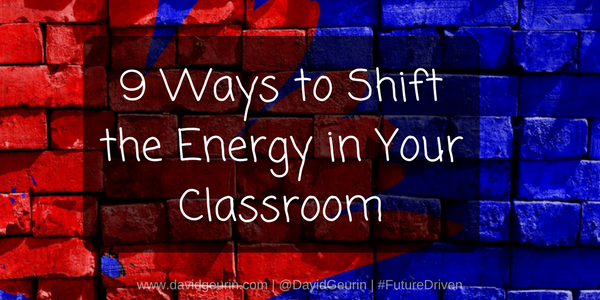 Do you have other ideas for shifting the energy in your classroom? I listed several general categories. I would love to hear your specific ideas. Leave a comment below or respond on Facebook or Twitter. Is It Possible To Teach Grit? What If We Aimed for Collective Greatness?